On Monday – I’m starting the Whole30 Food Challenge (wish me all of the luck, I’m going to need it) – to get my health and fitness back on track. But more importantly than resolving to be healthier – I’m changing the way I think in my head about love. Sure, I could write all sorts of blogs about how I feel, what I think, what men do on dates, what I want – but it all boils down to the thoughts I repeat over and over every single day. I really believe what you think has the power to shape your world, and I choose to live by positivity, passion, confidence and of course, always, love. I’ll be honest – I’ve had a love/hate relationship with online dating. I have my profiles live and most of the time, I let the messages come my way instead of putting them out. There are some really clever, thoughtful guys and some rather ridiculous ones (like these) – but the truth is, more and more people are finding love online. In fact – one in five! At the start of the year, I turned away from app dating – looking at you, Tinder – and I focused more on sites that are more in-depth and can really pair you with someone you might like past a swipe. I’m not alone either, a recent poll on Match.com found that 51 percent of singles’ new Year’s resolutions were to be more social and focus on finding a relationship. 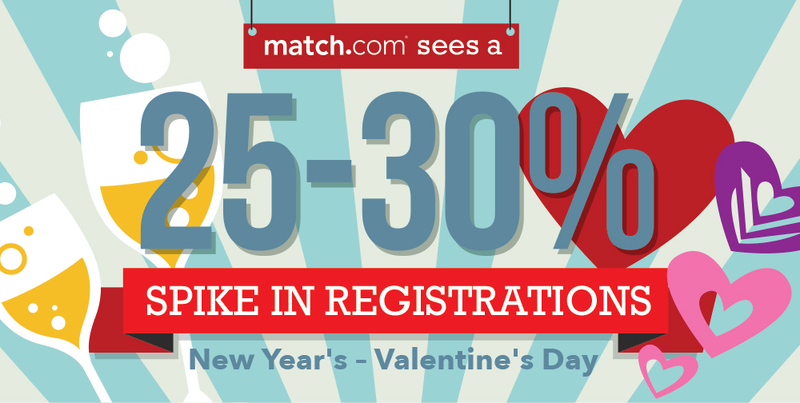 Does it surprise you that Match sees a 25-30 percent increase in sign-ups between New Year’s and Valentine’s Day? Duh – if there’s anytime to get online and start going on dates, it’s now before you lose all of the positive mojo from the New Year. -Write a profile that gives more than basic information. You want to attract men who you not only find attractive, but you could be friends with, too. Don’t lie about anything! –Message at least three guys. I know, putting my foot in my mouth, but find three men you possibly could like (and who have been active in the last few days) and be forward, honest and sweet. Your goal is to quickly message and get offline. Remember: keep it quick in conversation and get to the first date faster so you can determine chemistry. I need to go to Europe in 2014. One of my only regrets from college is not taking the advantage to study abroad. I was in one hell of a hurry to get that sparkling journalism degree, complete every internship I could and take the first one-way flight I could to New York. And though it all did work out, I used every last penny (earned and found) on moving to this brilliant city and building my life here. Nearly four years later, I still love the zip code I call home but I’ve managed to save enough money to see what else is out there. She wanted to join me. While it feels like a big deal for me to travel across the Atlantic for the very first time, it’s even more exciting for my 50-something mother whose always wanted to see this big ole’ world. I was so excited that I finished my first half-marathon in October that I completely stopped training and started to eat whatever I wanted to celebrate… for like three months. Whoops. My friend M and I are doing the Women’s Health Six-Week Weight Loss Plan together starting today, along with a 4M in February and a 15K in March. And my friend N (and Mrs Healthy Ever After blogger) is helping me to make smarter choices with eating. If I’m going to overdo the carbs in Paris and Rome (and rightfully so), I want to slim a bit before I arrive. I’m actually rather good at saving money, it’s something I learned from my dad who made me put 10% of my babysitting money in a personal savings account since I was 10 (much to my annoyance). But there are ways that I’m incredibly frivolous: buying lunch, taking cabs when I don’t actually need them but my feet hurt (or it’s negative 10 degree outside, thank you very much, New York), my grande skinny vanilla cappuccino every morning at $4.84 a pop (but they taste.so.good)… I’d rather spend money experiencing Europe than maintaining bad spending habits. I’m going to be away from my baby pup (who is almost two!) for 10 whole days. It’s the longest we will be apart since I adopted her from that West Village pet store and I’m might freak out. Just a little bit. I’m not sure what Paris and Rome have in store for me – but I’m proud of myself for following my instincts. If your heart says grab a bag and go get a baguette and sit in front of the Eiffel Tower… you listen. This Valentine’s Day, write a self-love letter to yourself and it’ll be published (anonymous or not) on Confessions of a Love Addict! And you enter yourself to win a prize! Learn more here. Submit here. The past week has been unusually warm in Manhattan. The air feels crisp and inviting, the atmosphere of the streets lively and fresh, and the people – myself included – invigorated for a New Year. I always make resolutions and oddly enough, I do actually keep them. There’s something about January 1 that makes me feel like I get a second chance (or a 26th one…) to improve bad habits or start great ones. I said “yes” to Mexico in April. I said “yes” to late nights and early mornings. Yes to training for (and completing!) a half-marathon. Yes to kissing a nameless man on the corner of West 4th at 2 a.m. Yes to walking all the way across the park with Lucy in tow to the east side to visit friends. Yes to going all the way to Brooklyn for brunch — and thoroughly enjoying myself. Yes to trips to North Carolina three times, yes to new foods and new drinks, new clothes I normally wouldn’t wear, yes, yes, yes! But in 2013, I also said “yes” to a lot of negativity. And even more fear. I said “yes” to those really terrible thoughts that made me feel like everything that could possibly go wrong, did. I said “yes” at the expense of myself, sometimes sacrificing what I really wanted to make someone – anyone – happy. I said “yes” to thinking the absolute worst in every situation, every person, every date that left a bad taste in my mind. I did learn how to take those chances and change my attitude, but in ways that made me stronger.. and weaker, too. What I want the most out of 2014 is to be happy. And so many things can contribute to happiness: health, friends, career, love, travel, new experiences. I don’t want to limit myself or put pressure on a timeline, but I do want to live better. I want to live with the same kind of passion, that same drive and hopefulness that made me who I am and made me a success in New York. I miss that beat in my step, that faith in my heart, that smart, sharp, kind, enthusiastic spirit that made me feel unstoppable. And to get that firecracker Tigar back, I need to let go of some very small and very big things that are holding me back or keeping me down. These aren’t quite resolutions – just a little guide to help me along the new journey of 2014. Because really, with some of these out-of-the-way, my resolution to be happy again, might just be a reality. Guilty as charged: if you stalk my Instagram, you’ll see so many duck face examples, it’s quite embarrassing. Sure, it can be cute. If you’re, like, 15, not, ya know, 25. One of the hardest lessons I’ve had to learn as an adult is that friendships change. We all expect relationships to be difficult, life-changing experiences, but friendships are that way too. Even if you’ve been friends for years or just a short period of time, if someone isn’t making your life better by being in it, then get them out. People who are worth your time, will make time to invest in you. Maybe it’s my recently damped self-confidence or just the anxiety of saying the wrong thing, but in my life and in my career, I’ve had a tendency to not say what I really think. But this year, it’s time to lean in. I can’t move up – or move forward – by being silent. I desperately want to be a morning runner but snuggling in bed with Lucy is so much nicer than a 6:30 a.m. wake up call. But think of all the time I’d have to do things post-work if I got that 3-5 miler finished before my morning coffee! Sure, Saturday nights are great for having a bit too much. But a random Wednesday? With a guy I know I will never, ever want to go out with again? Forget saving feelings or following the crowd, my liver demands better. And I’d rather have less of those paralyzing hangovers post-25. I try my very best to be understanding and considerate, but it’s human nature to raise an eyebrow when a friend (or even a stranger) does something that isn’t quite the route you’d take in the same situation. You can’t change people, you can only be honest and caring, and thus, changing yourself. We’re each climbing our own hill and we’ll all get to the top in our own way. I put in the hard work to get to New York and once I landed in my little apartment with my big NBC job and my big, popular blog, I sat down. It’s time to get up. I’m not finished yet – I’m merely getting started. I work in Chelsea Market. For New Yorkers, I need not say more. For everyone else: imagine every delicious, decadent, expensive food you could ever imagine – from lobster to truffle tacos – a few steps away from you every. single. day. I could save so much more money (and travel so much more often) if I could plan ahead better. I’m a Virgo, and I love, love, love plans. I’m often the person sending out a group e-mail, trying to get my friends on-board to a new idea. But I go back to the same restaurants. I do basically the same thing every weekend. Not anymore though: I already signed up for Italian lessons and philosophy (yes, philosophy!) lessons. Time to switch it up. It’s a dangerous word, that one. And it creeps it’s way into every worry I have: I should make more money. I should be thinner. I should have a boyfriend by now. I should live alone at this point in my life. I should save this extra $100. I should be more responsible. The only should I’ll say this year is: I should be me, exactly how I am today. Like a long line at Starbucks. Or train delays. Or friends bailing at the last second. Or a guy with an attitude problem. Or people who don’t agree with me. Or the fact I’ll never be a size two (this girl has hips for miles). If I can find peace in every moment, I can find peace in every outcome. I’ve wasted far too much space (in my heart and on this blog) on the Mr’s I used to love. It’s time to let go of what was so I can find what will be. The archives will always be there. On the other hand, I can’t just rely on a dating app that’s basically “hot or not” to provide me with quality dating material. Bye, bye iTunes Store dating. Hello, just getting out of the apartment and into life. If everything was smooth sailing and easy, then would I appreciate the life I’ve built? If I never had to say good-bye to a friend because they moved on their own or because they were forced? If I never had my heart-broken or my dreams crushed? If I never cried out of frustration or desperation? If I never heard really bad, scary news? Life will always have it’s hard parts, but it’s never without goodness. I just have to breathe enough to feel it. My friends won’t always want to volunteer at the soup kitchen with me. Or go to that new pub around the corner. 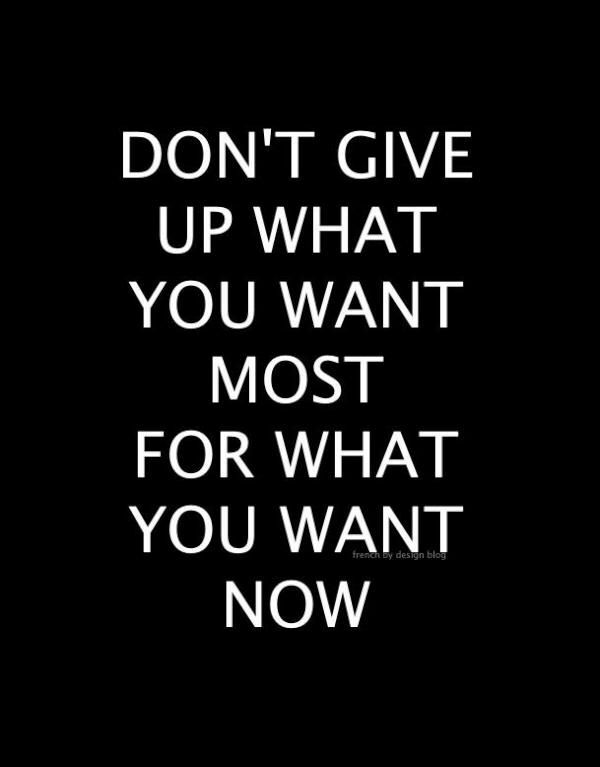 Or sign up for a pizza making class or join a running group. But instead of dwelling in the fear of going alone, I choose to dwell in the possibility that something really amazing can come from taking a leap of faith. After all, that’s what I used to do every single day before I developed my life here. Surely, I can do it again. Surely, I can do it with even more courage. Surely, I can open my heart to the New Year, and the new me, that’s waiting in 2014. My first time seeing snow in the city. The first time I realized I was falling in love in New York. The first time I went home for the holidays, feeling much more grown-up then I actually was. The first time it really, truly felt like Christmas and magic unfolded all around me. Even though at the time I was actually rather miserable at my job and fighting off stomach-worry-pains over Mr. P and his fleeting fidelity, and even though I barely made any money post-taxes, there was a gentle happiness that I almost always felt. Because I was still new, because the city still had it’s freshness about it, because I knew there was still so much to accomplish and so much to achieve, so much to enjoy and so much to learn – I didn’t think too far ahead. I didn’t miss anything in my past and I though I wondered what was next, I knew I had time to make mistakes. I still had time to figure it all out and come up with an escape route or an alternative direction if I needed it. I had picked New York and yes, it had picked me right back, but I hadn’t conquered it yet. It didn’t belong to me – I was still it’s visitor, waiting to be accepted, waiting to feel like I was at home. Three years later, Manhattan is my address. It’s where I’m registered to vote. It’s where my dentist and my dermatologist are. My home is lived in and worn, my dog leaves her paw tracks wherever she goes. My most frequently called friends live no more than a few blocks or subway rides away, and I have memories in almost every neighborhood on the island. I can get from point-A to point-B without a map (most of the time) and I have areas that I almost flat-out refuse to go to (looking at you Murray Hill). I am settled and I feel extremely comfortable on these streets, at my grocery store, at the coffee shop where the barista knows my order and invites me to her birthday party. And this winter, I saw all the sights, yet again – from the shops at Union to the skaters at Rockefeller – and though it wasn’t the same simple happiness I used to feel, it was still something. Something older, maybe. Something jaded, just a bit. Something… new. There has been so much change, and yet so very little change this year for me. Though I’ve loved my job, I’ve been aching for new challenges. Though I love my city, I’ve wondered what’s next and what else is out there for me to explore. Though I love my friends, we’re all on different pages and listening to different songs, trying to figure out our own quarter-life crisis without belittling each other’s. Though I love the warmth of the Upper West Side, I long for the excitement (but not the pricetag) of downtown. Though I love most of what I’ve created and discovered here, I’ve felt so incredibly bored most of 2013 that everything felt common, uninteresting, redundant.. and just so not like how it used to. …I get to do it all over again. And again. And I’ve been fighting it. Hard. Because it was so much work to build friendships, to meet Mr. Possibility, to get my first job and my second one, to explore a new part of town, to find new groups and new clubs and new things to try. But I was happier when I was open. When I put myself out there and I challenged myself to do something different. When I wasn’t afraid of failure, when I wasn’t terrified that I was running out of time. Because that is what time is: always circular, always moving, always changing. That’s the part everyone forgets to tell you: your 20s are for learning the good, hard-working skills that you’ll use the rest of your life. You learn how to make friends so you can enrich the friendships you have, and make new ones as the old ones fall and grow apart. You learn how to find a job so you know how to hire new people, how to keep your current one and how to make a move when the time is right. You learn how to date so you know what you like and what you don’t, with the hope that someone will one day fit your bill. You learn how to cook, manage your money, manage your time, manage your expectations and everything else, so you never forget your independence. You don’t just learn things once – you keep learning again and again so you can keep growing. And so, even though this winter isn’t my first and won’t be my last in New York, it’s the first one in my new cycle. My new beginning in the city I fell in love with so long ago. It’s time to go back to where it all began, so I can remember how to move forward. It’s time to find that drive that made me do everything I could to get a step ahead or at least a toe into some door. It’s time to find that energy that was rich and powerful. It’s time to find that softness again that made me see the good in people, and especially in men. Especially in my friends. Especially in me. It’s time to find that beauty in the process, not in the destination. It’s time to walk away from everything that fell apart, so I can start building an even better tomorrow… again. Don’t fall, don’t fall, don’t fall, don’t fall…I repeated, watching my silver high heels cascade down the subway stairs. Logically, I knew the rest of my body was with me, too – but my New Year’s champagne intake made it difficult to actually feel it. One of my dear best friends J, who kindly invited me out with her and her boyfriend D, grabbed my arm and together we finally made it into the tunnel below. Of all the nights in New York — there are really only two that it’s a better idea to take the train than to attempt to get a cab: Halloween and New Year’s. Though you may be wearing a dress that has little to it and heels higher than appropriate to ring in a new beginning — those assets won’t get you a cabbie unless you have some magical stroke of fate. We weren’t that lucky, so we braved the great underground at Union Square, along with hundreds of others. In the hectic maze, I realized that on 01/01/13, my subway passed expired, and I needed to buy a ride to get me home. Just a few more steps and your toes will stop pinching. You can do it, you can do it! I encouraged myself as I wobbled over carefully, wondering if anyone else could detect my buzz or if they were equally intoxicated and uninterested in the drinkers around them. As J and D waited, I went through the clicks on the screen, something I have memorized after buying subway cards for the past 34 months (wow! ), to receive my golden ticket uptown. The pass flew out — and though it looked totally different than it normally does — I accepted and went with it. Within an hour, I was pushing the button to the 7th floor, excited to see my fluffy white bed and fluffy white dog. The next morning, after some much-needed coffee and sleep, I took Lucy to the puppy park to get some energy out (and to feel less guilty for leaving her alone for so many hours). As I watched her spin around with the other pups and the cute couples who always hang out at the dog runs, holding hands and watching their “child” frolic, I reached into my coat pocket to find my expired subway pass. Once the New Year came, this sucker wouldn’t grant me new rides or travels. It wouldn’t get me anywhere at all actually. And though looking up at the guy who was now placing his hands over his girlfriend’s ears to keep them warm, I thought about the love I miss having. And I considered the New Year as my new subway card — valid in 2013 to get me anywhere I wish to go. But that old one in my hand? It doesn’t work this year and it no longer can give me access to memory lane. I can’t go down the “what if” trail that only leads to anxiety and making phone calls or returning text messages I really shouldn’t. I won’t even entertain the idea that the best love is behind me or that the intimacy I once shared with certain someones isn’t possible again. I won’t let thoughts of what I once had or the future I once envisioned keep me warm at night when my bed is just a little too cold for my tough skin. I won’t believe that I’m destined to wear these single shoes forever — but while I have them.. I better rock them. Though I spent the New Year with couples and gladly took pictures of their New Year’s kiss instead of having one of my own, another single gal and I toasted to each other and smiled. And it was a genuine one — I’m happy with where I am. I feel the most beautiful, the most in shape, I’ve ever been. I’m fulfilled by things outside of relationships, and though everyone could probably use a little more loving, I don’t find myself aching too badly. That being said, I spent a good portion of 2012 really working to get over Mr. Possibility. Though for half of it, he was overseas, he continually sent emails. Flowers. Macaroons from France. Paintings from Prague. Gifts and tokens of admiration — making sure he had a spot in the back of my mind, a sore spot on my heart, some kind of hold on me, even though he wasn’t and isn’t ready to be anything in my life but a bittersweet, no-strings-attached memory. And while I really hate to admit it, I loved the attention. I loved knowing that some man did care about or miss me — even if I know he’s not right for me. So, before 2013 got here, I took all the steps to leave him in 2012 where he belonged. I cut off all communication and asked him (nicely) to do the same — and though I received a New Year’s text I didn’t respond to, I hope he’ll listen. I hope he’ll love me enough to let me go. Because I don’t want to live in memory lane or with fear that I’ll never find someone to be in love with. I don’t need a place in yesterday or in the days I’ve already had. I don’t need to know what comes next because it’ll get here all on its own without help from me — but I know what’s in my past. And I know it needs to stay there — where I can learn from it, where I can grow from it, where I can move on from it. So that my bright shining future that I know in my heart-of-hearts is waiting for me in 2013 — can actually get going. Once the anchor is up — the sails will just fly out of the harbor, right? Bye, bye, I said to that expired metro as I threw it in the trash. Lucy looked up at me with a big puppy grin that still makes me melt. Alright Lucy girl, let’s go! And without the old pass — and heavy past — the path and the year ahead somehow seem a little easier (and much more inviting) to trek. Confessions of a Love Addict is hosting a 5K Remote Run for the Families of Sandy Hook. To learn more, click here!